Although President Obama has his own record — and what a record it is — regarding Israel, Halvey has nary a word to say about it. Furthermore, Governor Mitt Romney has a sterling record of support for Israel, and a staunchly pro-Israel foreign policy team; yet Halevy deems this unworthy of comment. What kind of analysis of the election ignores entirely any analysis of the actual candidates or their records? Halevy used to be a serious man. But his unserious analysis is as incomplete as it is irrelevant. In fact, it amounts to historical malpractice. Halevy’s airbrushed “history” leaves out Republican then-president Nixon’s extraordinary backing of Israel in the Yom Kippur War, and Ronald Reagan’s formalization of the Strategic Cooperation Agreement with Israel, which created the deep, intricate ties between the Pentagon and the IDF plus the constant updating of Israel’s military capability and advantages, which remains in effect to this day. He omits Republican presidents who fought bitterly against the United Nations’ “Zionism is Racism” resolution — and finally got that resolution repealed — and ignores then-president George W. Bush’s diplomatic cover for the Second Lebanon War. Somehow, Halevy’s history lesson also conveniently glosses over Democrat president Clinton’s relentless pressure on Israel to make concessions in the face of bloody Palestinian violations of the Oslo accords, and welcoming Yasser Arafat to the White House more than any other foreign leader. And where is his analysis of Democrat president Johnson’s leaving Israel abandoned and alone to face the tightening noose of genocidal Arab armies in 1967? What makes Halevy’s piece both pointless and partisan is that he uses these cherry-picked lists to suggest that, due to this “historical record,” voters should support President Obama. Yet, although President Obama has his own record — and what a record it is — regarding Israel, Halvey has nary a word to say about it. Furthermore, Governor Mitt Romney has a sterling record of support for Israel, and a staunchly pro-Israel foreign policy team; yet Halevy deems this unworthy of comment. What kind of analysis of the election ignores entirely any analysis of the actual candidates or their records? Just a sampling of what Halevy skips: How did Halevy omit Obama’s deliberate policy of publicly putting “daylight” between America and Israel? Or his administration’s publicly calling Israel “an ungrateful ally”? Or publicly announcing that America would not be “complicit” in any strike against construction of Iran’s holocaust-in-a-suitcase? Or publicly condemning Israel for building apartments in Jerusalem, even though such development specifically was not part of any construction freeze? Or publicly undermining Israel by endorsing Palestinian positions even before any negotiations began? Or publicly calling on Israel to go back to its 1949 “Auschwitz borders” as a starting point for those negotiations? Or publicly tearing up agreements made by prior administrations regarding settlement blocs? Or publicly calling on Israel to apologize for the Gaza flotilla incident? 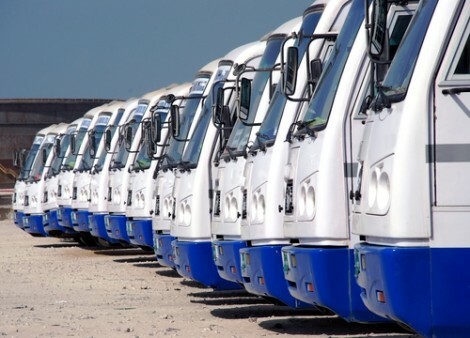 As a big proponent of public transportation, Obama has fleets of public buses under which he has thrown Israel. Halevy should try looking under at least one. Depressingly, the list of Halevy omissions goes on. Even in the past year, President Obama created a “global counter-terrorism forum” to which he invited 11 Muslim states, explaining that they were “on the front lines in the struggle against terrorism.” And then Obama bowed to those Muslim nations’ demand that Israel be excluded. He legitimized the UN’s most obsessively anti-Israel body (quite a distinction), joining the UN Human Rights Council against Israel’s request. Obama is currently asking for a second three-year term on the blood-libeling council, despite the fat that its primary is the perpetual condemnation of Israel for an endless array of human rights “violations.” And even when vetoing grossly anti-Israel UN resolutions, his administration has turned around and independently condemned those Israeli policies under discussion. President Obama has humiliated Israel’s prime minister at every turn, even badmouthing him to France’s President Sarkozy over an open microphone, refusing a requested meeting with Benjamin Netanyahu during the growing Iran crisis (and instead making important appearances on “The View” and David Letterman), and having America’s UN Ambassador absent from Netanyahu’s UN address. President Obama even put in play Israel’s presumed nuclear deterrent in agreements with Islamic states at a meeting of parties to the nuclear non-proliferation treaty — a blatant breach of promises made to Israel. His administration is still negotiating ways to diplomatically coerce an Israeli compromise of its (reported) nuclear advantage. Obama drags his feet in preventing Iranian nuclear capability — finally agreeing to impose economic sanctions, then liberally granting waivers to Iran’s largest trading partners. How “tough” and “crippling” are these sanctions? Well, even American exports to Iran are up over 30% this year. And Obama’s own intelligence director admits that Iran’s nuclear program has not been slowed at all. On Obama’s watch, Israel’s neighbors have been taken over by radical Islamists — Hezbollah in Lebanon and the Muslim Brotherhood in Egypt, whom Obama helped usher in. Let’s not forget Team Obama calling the architect of the Syrian slaughter a “reformer” — more respect than shown to Israel’s PM. Oh, and Obama still considers Israeli settlements to be the region’s obstacle to peace. Obama whispering sweet nothings to his Jewish donors doesn’t change this record. Nor does Efraim Halevy’s ludicrous history survey. Whether gullible New York Times readers have the luxury of ignoring Obama’s actual record, Israelis are stuck living it. Americans in Israel do not enjoy the view from under the Obama bus; Halevy’s incomplete history notwithstanding, we are voting overwhelmingly for Mitt Romney. This entry was posted in 2012 U.S. Presidential election, American Foreign Policy, American Middle East Policy, Israeli Politics and tagged Barack Obama, Benjamin Netanyahu, Efraim Halevy, George W. Bush, Iran, Israel, Lyndon Johnson, Mitt Romney, New York Times, Nixon, Obama. Bookmark the permalink.